(TibetanReview.net, Jan24, 2018) – China was reported to have rearrested a formerly disappeared Hong Kong bookseller and Swedish national Gui Minhai. He was kidnapped for a second time – this time while in the company of Swedish diplomats, reported the Cantonese Service of Radio Free Asia (Washington) Jan 22, citing Swedish foreign ministry. And the New York Times reported Jan 22 that mainland officials had told Swedish diplomats that the bookseller was suspected of sharing secret information with them. Gui, a Hong Kong-based publisher and bookseller, was snatched by police while on a train to Beijing from his birthplace of Ningbo, accompanied by two Swedish diplomats. Sophie Richardson, China director for the New York-based Human Rights Watch (HRW), has said Gui’s disappearance was “a shocking development”. “If diplomats talking to their own citizens in #China is now considered spying, this is a massive problem,” she was quoted as saying. Gui had “disappeared” under murky circumstances from his holiday home in Pattaya, Thailand, in Oct 2015, only to reappear in China “confessing” to a decade-old alleged drunk-driving offence. 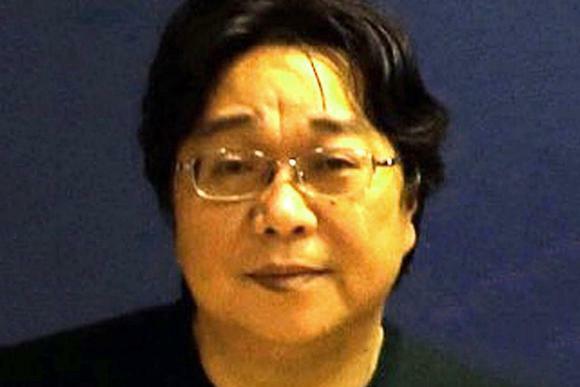 He was one of five Hong Kong booksellers detained or kidnapped by Chinese police for selling “banned books”, including those on personal lives of China’s top leaders, to customers across the internal border in mainland China. Gui was “released” last October, but his UK-based daughter Angela Gui said he was still not free. This was because he was placed under various forms of control and surveillance to his birthplace, Ningbo. However, he was able to reunite with his wife Jennifer, a German national. Among the other four, Lee Bo, a British national, was “involuntarily removed” across the internal immigration border to mainland China. The UK, in a Feb 2016 statement, accused Beijing of thereby breaching the handover treaty. His colleagues Lui Por, Lam Wing-kei and Cheung Chi-ping were also detained in late 2015 after they crossed the border into China. Lui, Lam and Cheung were later released after making televised “confessions” with a set of instructions from China’s state security police: to reappear and remain in Hong Kong, refute reports of their disappearance, and claim to be voluntarily helping police with their inquiries. However, Lam Wing-kei, refused to stick to that script and traveled to the democratic island of Taiwan. And he told Radio Free Asia that Gui was very unlikely to be allowed to leave China now.